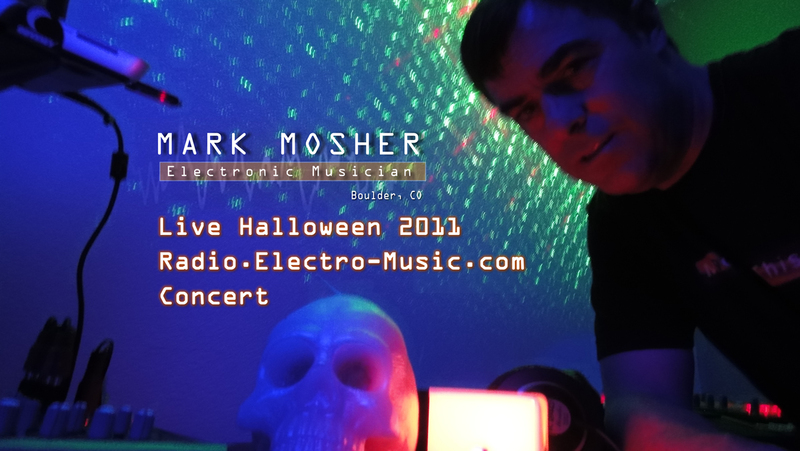 In celebration of Halloween – please enjoy this themed set I performed for a live streaming concert back in 2011. Get those headphones out – it's time for some creepy original experimental music to celebrate Halloween! 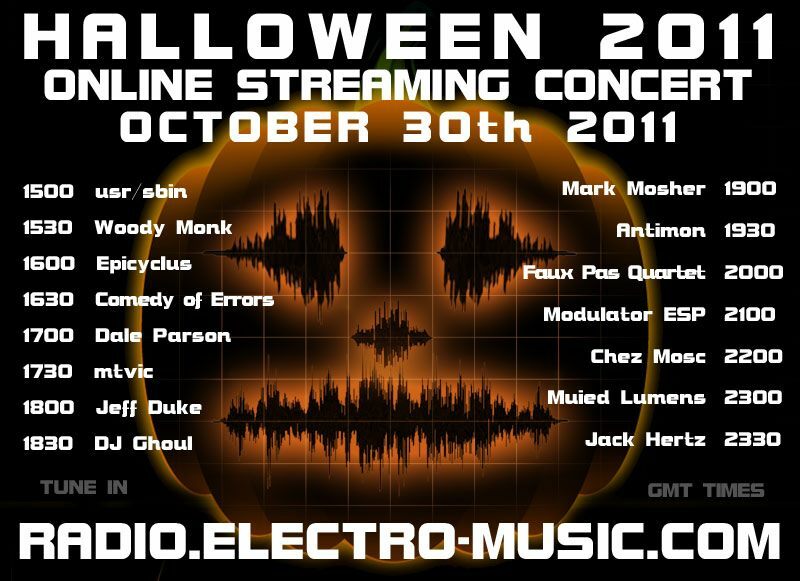 This is a live hi-def stereo recording from my set for the Halloween 2011 Online Streaming Concert for Radio.Electro-Music.com broadcast at 19:00 GMT on October 30th. "They Walk Among Us" from REBOOT (recording). Buy Reboot. "I Can See Them" from the album I HEAR YOUR SIGNALS (performed live on Percussa AudioCubes). Buy Album. "Before We Wake" from Fear Cannot Save Us album (performed ive on Theremin pitch-to-midi with AudioCube ). Buy album. "Dark Signals" from I HEAR YOUR SIGNALS (performed live AudioCubes, keys, Theremin, Tenori-On). Buy Album.